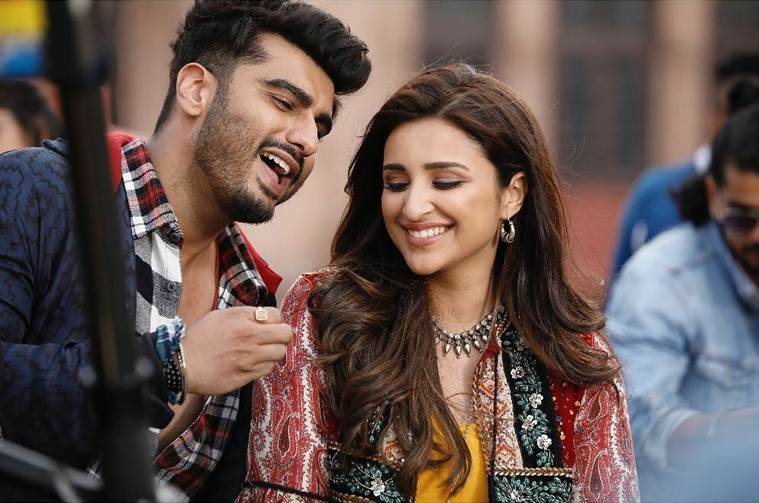 Parineeti Chopra and Arjun Kapoor's new movie, Namaste England is creating lot of buzz because of the adorable chemistry of the duo off screen. Today was it's official trailer release and we can say that it doesn't look as promising as we though it would. The movie is about a girl who alienates herself from her village in search of the freedom she desires. After marriage when her husband fails to make the society understand that a woman needs her space too, she takes off to England. The story is a struggle about love and how this ambitious girl doesn't agree to sacrifice, her love for her own self, for a relationship. The foundation on which the movie is built is a burning issue and we are happy that a movie has raised it in this way. The trailer shows that Parineeti and Arjun fall in love in a village of Punjab and Parineeti moves to England in search of her rights. She is an ambitious girl who wants to have her own freedom and her village fails to give her the same. She is courageous enough to decide that she would chase her dreams on her own, even if Arjun is not by her side. The chemistry between Pari and Arjun is the second alluring thing about the trailer. They not only look good together but they also have great chemistry on screen. We all know what happens next. Like a man madly in love, Arjun follows. As dialogue in the trailer goes, Legally or illegally. They meet, they fall in love, get married and then get separated only to be united in a climax. We smell a typical Bollywood love story to be precise. We hope that the movie successfully tickles the right bones and becomes a rom-com we are looking forward to. We also hope that it amazes us with its storytelling and hits the right chords. Otherwise, it would just be another love story. The movie is from the makers of Namastey London and we can say that this one doesn't look as good as the previous one. Angad takes Pregnant Wife Neha out for a Romantic Lunch Date B-Town celebs shower love and congratulatory messages to Shahid-Mira!